Dr. Julio Menendez, MD is a Doctor primarily located in Valdosta, GA, with another office in Spring Hill, FL. He has 30 years of experience. His specialties include General Surgery, Hospitalist and Family Medicine. Dr. Menendez is affiliated with Oak Hill Hospital, South Miami Hospital Inc and Leesburg Regional Medical Center. He speaks English. The overall average patient rating of Dr. Julio Menendez is Great. Dr. Julio Menendez has been rated by 4 patients. From those 4 patients 1 of those left a comment along with their rating. The overall rating for Dr. Julio Menendez is 3.8 of 5.0 stars. Hospitalists are physicians who specialize in the care of patients in the hospital. The majority of hospitalists are board-certified internists and have completed the same training as other internal medicine doctors including medical school, residency and board certification examination. Hospitalist activities include patient care, teaching, research, and leadership related to hospital care. They have more expertise in caring for complicated hospitalized patients on a daily basis since, unlike other specialists or primary care doctors, they spend most of their day in the hospital. They often coordinate the care of their patients and act as the central point of communication among the different doctors and nurses involved in the patient's care. They are also the main physician for family members to contact for updates on a loved one. Dr. Menendez is affiliated (can practice and admit patients) with the following hospital(s). We are sorry, it looks like we don't have insurance information. Please call Dr. Julio Menendez's office for more information. 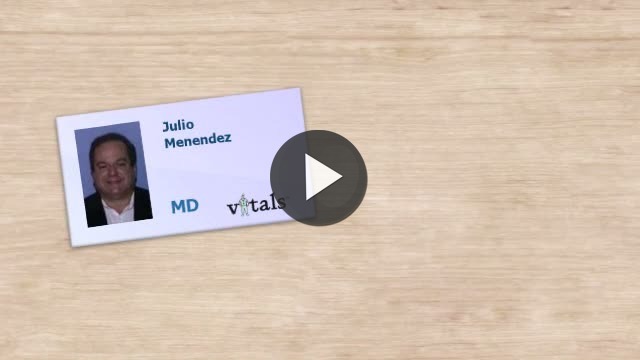 Take a minute to learn about Dr. Julio Menendez, MD - General Surgery in Valdosta, GA, in this video. Dr. Julio Menendez is similar to the following 3 Doctors near Valdosta, GA.
Dr. Julio Menendez Is this you? Have you had a recent visit with Dr. Julio Menendez? Select a star to let us know how it was.